Progressive-Sounds: The next few months see you return to play in the UK with appearances at the South West Four festivals in London and Cardiff, and as part of the new Manchester Warehouse Project? How have the festivals been for you this year, and are you looking forward to these upcoming ventures? John Digweed: Yes, I always look forward to playing festivals and in the UK so it's a combined bonus. Global Gathering recently was great for us and I've enjoyed playing SW4 in recent years so really looking forward to these in what's probably the last of the UK's summer sun! Progressive-Sounds: You recently completed a 10 date North American tour to promote your Transitions compilation for Renaissance? How did that go, and what were the highlights that stood out for you? John Digweed: That was great. I'm going back to the USA in September for another small tour so looking forward to it as this was a lot of fun. The highlights for me were The Mayan in LA and Buzz in DC. Progressive-Sounds: With the second volume in the Transitions compilation series due for release towards the end of the year, have you begun to piece together the album, and if so, will it be similar to the first, or will you aim to present something entirely different? John Digweed: I'm always on the look out for great tracks that might fit the bill for this project but there's a way to go yet. You'll have to wait and see what the outcome is. This series is meant to reflect what's going on in a wider scene at any given time so hopefully it will do that. If there's a major change round the corner and I tap into that then people will hopefully get something different but it's a case of going to my re-designed website johndigweed.com where updates on the album will appear. Progressive-Sounds: The Transitions podcasts have proven to be popular, and have allowed you to showcase bodies of work from some of your favourite producers? What brought about the recent suspension of these shows even though they were becoming increasingly popular? John Digweed: It's a real shame we had to curtail the podcasts. A restrictive compulsory license is being introduced in the UK which simply put makes the podcasts unviable at the moment. The audience was overwhelming and hopefully we'll find a way to get them back up. Progressive-Sounds: This year the Bedrock label has seen your first single under your own name, in addition to new projects from Terry Grant and Guy Gerber, plus the introduction of such names as Kiki, Lutzenkirchen and Mashtronic to the label. Would you say this is reflective of the quality or music and talent throughout the scene at the moment, and what can we expect from the label between now and the end of the year? John Digweed: I've been particularly pleased with what Bedrock has released this year and the remixers and producers we've been able to bring into the fold. All the people you name are big producers for me and I'm always looking into what they're doing. I think that is a reflection of the wider scene but I also think we've been lucky to get some of the real strength to release on Bedrock. We've got a Mashtronic release coming up along with our first ever Digital Only proper release from these guys, with some remixes of a great Gutterstylz production and an awesome new Misstress Barbara release coming up. Progressive-Sounds: Looking forward to the autumn and you're due to return to Australia to tour with Sasha together for the first time in several years? Anticipation for this tour is running high down under? Are you looking forward to going back there? 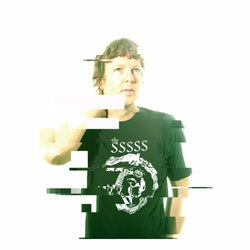 John Digweed: Of course, I've had some memorable times in Australia and New Zealand and looking forward to going back. Progressive-Sounds: New Years Eve will see you join Sasha and Jimmy Van M for a show in the US. Will this be a one off special for the New Year, or are there plans for more shows together, and are you looking forward to Jimmy's upcoming Balance compilation, which many fans feel is a long overdue follow up to his Bedrock Compiled & Mixed volume? John Digweed: I think this will be a one off but nobody's ruling out the 3 of us playing together in the future. I think both Sasha and I have held Jimmy up as one of the best on the US scene and a pioneer in many respects. I'm looking forward to his album because in terms of programming and searching out undiscovered talent there are few as good as Jimmy. I can't wait to see what he comes up with. Progressive-Sounds: Has being on the road and able to receive tracks digitally from artists and labels brought a new dimension to the way you can plan and change your sets whilst on tour, and also the way in which you can create the Transitions radio mixes? John Digweed: The movement of music is a far cry from what is was 5 years ago but it hasn't changed the finished result that much. I can get new music easier and quicker but in terms of playing out or on radio, I'm still simply trying to play the best of the new music I get my hands on. Progressive-Sounds: If you had to pick a handful of artists and DJs that are consistently doing it for you at the moment, who would they be, and why? Guy Gerber - consistently great production with his own sound and distinction. 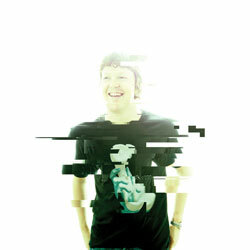 Eric Prydz - as with Guy Gerber, a unique sound and production talent as well as solid DJ. Luke Fair - a pleasure to DJ alongside for his attitude and talent to rock a party. Mashtronic - fantastic remixers and producers who have yet to put a foot wrong. Progressive-Sounds: Finally, being a DJ who's constantly on the road is there anything you look forward to returning home to, and what do you do to unwind after a long tour? John Digweed: I look forward to seeing family and friends like I imagine most people would. As for what I do - sweet FA!